things to consider to get the most value for your money. The shank size of the router bit has an affect on the overall value. because 1/2" Router Bits are more sturdy, and less likely to break. High Speed Steel, Carbide Tipped, and Solid Carbide. your best bet to get the most for your money. High Speed Steel Router Bits are generally the least expensive and are fine for softwood and light plastics, but tend to dull much faster than carbide. Carbide Tipped Router Bits are usually more expensive than the high speed steel router bits, but they stay sharper longer and work better in hardwoods and other hard materials, so they may save you money in the long run. Solid Carbide Router Bits are the most expensive, but are typically meant for specific applications where other router bits may not perform as well. You may want to choose a Solid Carbide Router Bit for Mortising, Laminate Trimming, and Pattern Cutting. Using a Sharp Router Bit is much safer, cuts better, and requires less power than a dull router bit. The grind of the router bit can greatly affect the performance. Reducing the vibration is very important not only to safety, but to the quality of the cut. Make sure the Router Bit you are using has a good spin. There are many Router Bit manufacturers to choose from, and it can be hard to know which company makes a quality Router bit. We have been in the industry for a while, and we really like: Whiteside and Southeast Tool. Whiteside is known for their quality, and Southeast is a great value. Both Whiteside and Southeast Tool were ranked in the top 5 and rated excellent by Fine woodworking Magazine in their head to head router bit challenge. If you want to take a more objective approach to choosing he best Router Bit, it's a great idea to check-out Fine Woodworking Magazine. They frequently Test many different Router Bits from a wide spectrum of manufacturers. They test the performance of many different router bits to see which company produces the sharpest, most durable, and best value and award the top performing router bits. Whiteside Machine Company has come out on top as being "Number one in head-to-head Router Bit Tests". 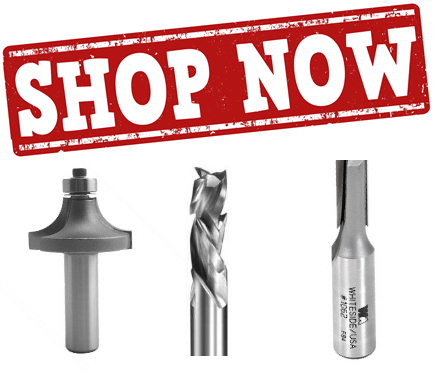 We sell the entire line of Whiteside Router Bits at a discounted price, so feel free to test them out yourself without having to pay the full retail. 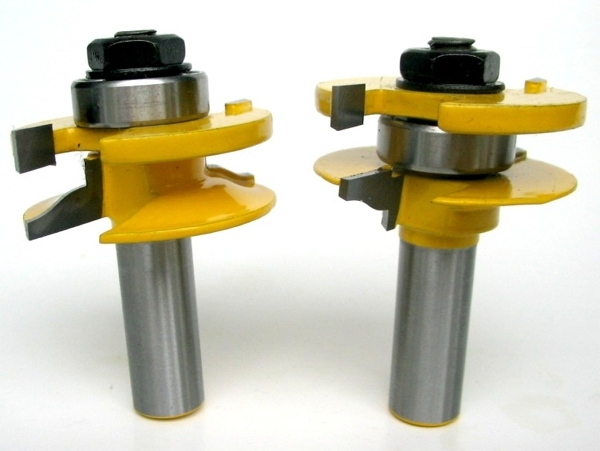 Buy Whiteside Router Bits. 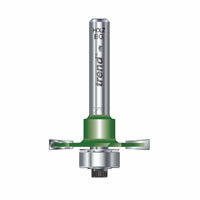 Also see "Router Bit Glossary" for more helpful information on Router Bits. *Downcut- Used for cutting completely through stock. *Most Slotting Bits have Ball-Bearing Pilots and 3 wing cutting surfaces. Manufactured in different degrees of slope for joining different wood species. Used for Raising the Panel Edge in a Raised Panel. Used for cutting the inside groove and beading on stiles and rails in frame, and frame & Panel construction. *Only use Molding Cutters in table-mounted routers. Molding Cutters are large and can be dangerous if used in handheld routers.